CarPlay isn’t expected to gain any major features this year according to recent reporting, but that doesn’t mean we can’t dream. One simple change I would love to see in some future update is support for HomeKit alerts through CarPlay. Going a step further, a dedicated Home app for CarPlay with a few key features could be very beneficial. CarPlay prevents most alerts from reaching your car so you don’t get distracted by a new email or tweet while driving, but that filter can sometimes catch useful alerts too. For example, if you create an automation in HomeKit to automatically open your garage door or unlock your front door when you arrive home, the Home app requires confirming through an alert. Requiring confirmation on your iPhone prevents you from accidentally opening your garage or unlocking your front door when you’re near your house but not going inside, but that alert does not come through CarPlay. Apple doesn’t actually have to make a Home app for CarPlay for alerts to come through either. Clock alarms and alerts from Reminders and Calendar are examples of apps that can send alerts through CarPlay without offering CarPlay versions of their iPhone apps. The current alternative to interacting with the iPhone is to use Siri each time you arrive home which is certainly convenient but not as efficient or proactive. Having an actionable alert that you tap to confirm would be way easier. 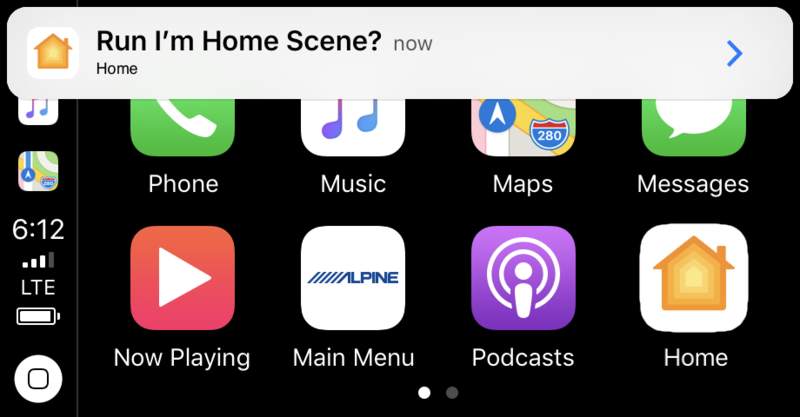 Going a step further, CarPlay could benefit from a dedicated Home app that launches to reveal favorited scenes (groups of smart accessory actions) like “I’m Home” and “I’m Leaving” so commonly used commands are a tap away. 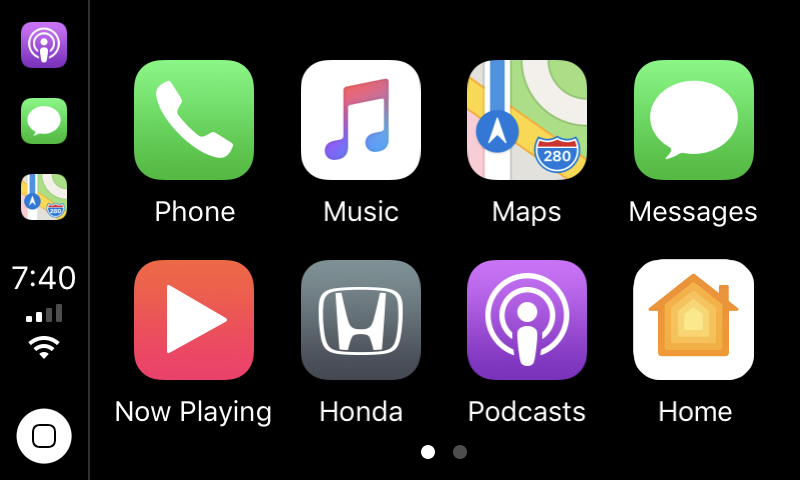 HomeKit control through CarPlay is easily accessible through Siri today, but adding an on-screen interface optimized like the other CarPlay apps could prove very useful for drivers. Additional apps like Waze would also be welcome, but supporting a third-party map sounds a lot less likely than one of Apple’s own apps joining the scene.